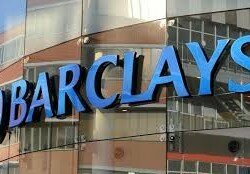 BARCLAYS Bank Zambia has pledged to continue supporting Government’s efforts in ensuring financial inclusion in the economy through introduction of innovative promotions. Bank’ managing director Saviour Chibiya said financial inclusion was part of the company’s shared growth citizenship strategy. He was speaking during the handover of prizes for the house-money promotion which ran from 16 May 2016 to 30 September 2016. “As part of our Shared Growth Citizenship agenda, Barclays is committed to supporting Government efforts of ensuring financial inclusion in the Zambian economy through the introduction of innovative promotions which encourage a culture of saving and rewarding our customers for their loyalty. “The House-Money-Cars competition is a direct response to our customers’ banking requirements as we pledge to continue engaging them so that we develop banking products, services and campaigns to meet their different needs,” he said. Mr Chibiya said Barclays Bank Zambia would continue to be an industry leader on the financial market by investing in technology to ensure that customers enjoyed the latest product and service offering. He said some of the products included Zambia’s first Kwacha credit card which could be used in more than 150 visa accepting countries. “Other products included chip and pin enabled debit and credit cards giving real time security alerts sent to customers’ mobile phones for transactions on main accounts. “Deployment of paperless banking across our branch network which enables customers to enjoy quicker and seamless service. Remote customer on-boarding and instant account opening service using the iBOC platform on iPads to sign up customers,’’ he said. Mr Chibiya said Barclays Bank was committed to operating in Zambia and delivering exceptional customer service to our customers. “As part of our Shared Growth Citizenship agenda, we believe that when we share we grow; and when we grow, we all prosper,” he said.